John Christie was a disciple of Wagner. It was for Wagner that he conceived and built the opera house attached to his family home at Glyndebourne. His passion began during his years at Cambridge University, survived action in the trenches during WWI and led to extraordinary overland pilgrimages to Bayreuth. During the 1920s however, new friends accompanied Christie on musical holidays around Europe, friends who introduced him to the delights of Wolfgang Amadeus Mozart in Munich and Salzburg. Christie was won over. The amateur dramatic performances he was mounting in the organ room at Glyndebourne began to feature excerpts from Die Entführung aus dem Serail – the first Mozart to be heard at Glyndebourne – and later a performance of Le nozze di Figaro, Act II, with Christie taking the part of the gardener, Antonio. It is those two works which play the most significant roles in the Festival’s history. Audrey Mildmay, professional soprano with the Carl Rosa Opera Company, came to Glyndebourne to sing the part of Blonde in Die Entführung at Christmas in 1930. Six months later, she became Mrs John Christie, the level-headed pilot of John’s wilder fantasies and inspiration for the opera house in which he intended to mount his beloved Wagner. 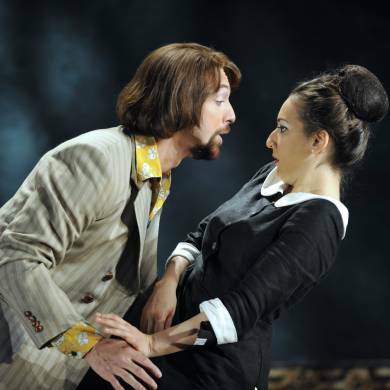 Reason prevailed however, and the opera festival John and Audrey instigated in 1934 was dedicated to Mozart and opened with Le nozze di Figaro, an opera that has gone on to become an intrinsic part of Glyndebourne’s operatic history. Our first ever production was Le nozze di Figaro, which opened the Festival in 1934. Photo: Glyndebourne Archive. The second offering in that first summer was Così fan tutte, an opera that despite Thomas Beecham’s best efforts, had fallen out of favour and remained largely ignored, owing to what was regarded as its ridiculous plot. The critical response from reviewers and observers in 1934 was one of overwhelming amazement that these operas could be presented with such clarity, insight and musicality, and left The Sketch writer wondering ‘why these two delightful operas are so rarely given?’ Several regarded the performances as better than those at Salzburg, the Mozart benchmark of the day. The team responsible for the work were conductor Fritz Busch and producer Carl Ebert, both exiles from Nazi Germany, who brought an innate love and understanding of Mozart’s work to Glyndebourne, and a new standard of opera production to Britain. The second Festival in 1935 was extended to include two of Mozart’s German language operas, John’s early favourite Die Entführung and Die Zauberflöte, works from the beginning and end of the composer’s extraordinary output. Then, in 1936, the remaining Da Ponte opera Don Giovanni was added to the repertoire. This led to musings about what Glyndebourne could do next, having now achieved John Christie’s goal of presenting all of Mozart’s operas, or at least all of those works within the then currently performed canon. 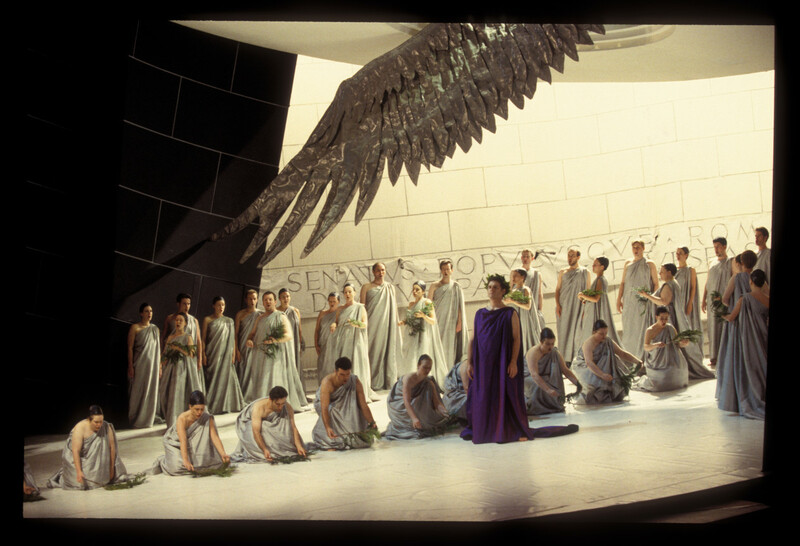 La clemenza di Tito, directed by Nicholas Hytner, Festival 1999. Photo: Mike Hoban. 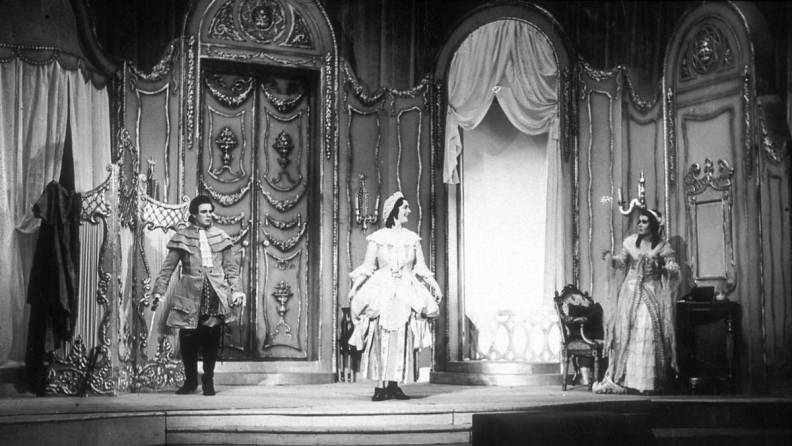 In 1951, Busch and Ebert reunited at Glyndebourne with the first professional production in England of Idomeneo, the first of Mozart’s opera seria to be heard in the Festival. Used to the frivolity of the lighter works heard previously, the nobility and dignity of this opera took many by surprise. It also marked the end of Fritz Busch’s connection with Glyndebourne. He died suddenly at the end of the season, and the opening performance of the 1952 Festival – Idomeneo – was dedicated to his memory, and the opera has continued to play a significant role in the Festival’s repertoire. The succeeding decades have witnessed a brief dalliance with one of Mozart’s one-act pieces Der Schauspieldirektor and two all-Mozart bicentenary seasons in 1956 and 1991. For this latter celebration, Glyndebourne mounted the problematic La clemenza di Tito, with new recits composed by Stephen Oliver in place of Süssmayr’s, and the opera was transformed, and welcomed. 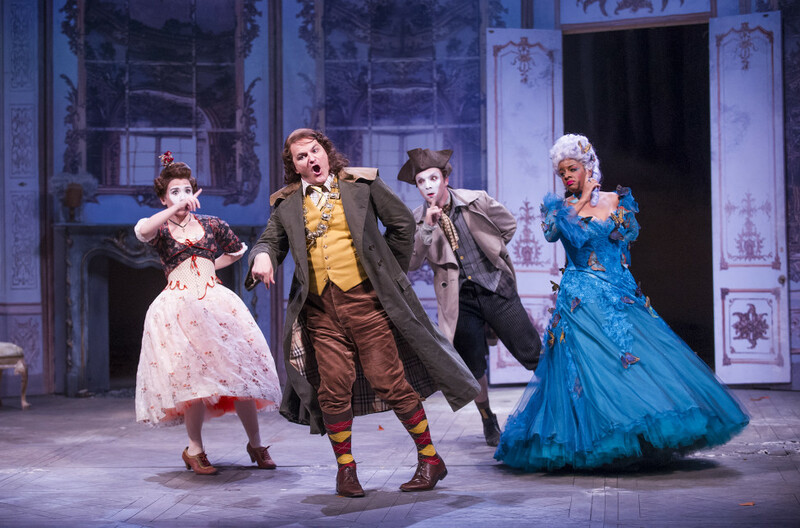 More recently, in 2014, a successful production of one of the composer’s earliest pieces, La finta giardiniera, joined the Glyndebourne Mozart stable. Enjoy clips of some of our greatest Mozart moments from the last few years, including ‘Soave sia il vento’ from Così fan tutte, ‘Sull’aria’ from Le nozze di Figaro and ‘Deh, vieni alla finestra’ from Don Giovanni. You can find more information on all of our productions and performances in our performance archive.